August 9, 2018  Guitar, bass, drums, vibraphone, synths, you name it — Dave plays it. 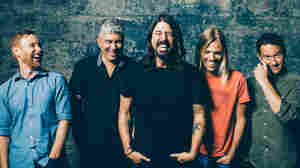 November 11, 2014  Foo Fighters frontman Dave Grohl joins hosts Bob Boilen and Robin Hilton to discuss his upbringing in Washington, D.C., and the role of geography in Foo Fighters' new album, Sonic Highways. March 3, 2013  The Foo Fighters frontman joins Stevie Nicks, Trent Reznor, Paul McCartney and more for an exuberant ode to rock 'n' roll, told through the story of Sound City Studios and its custom analog console. March 14, 2013  Dave Grohl has become the unofficial Mayor of Rock 'n' Roll. 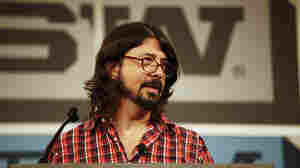 Watch Grohl's keynote address at the SXSW Music Festival in Austin, Texas. 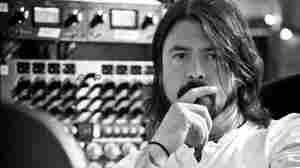 March 8, 2013  The Nirvana drummer and Foo Fighters founder says he wouldn't be the musician he is today if not for one piece of equipment in a now-shuttered L.A. studio. 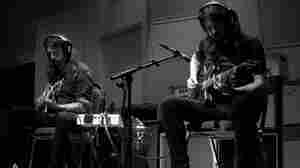 Rediscovering it, and connecting with other musicians who shared the honor, is the subject of his new documentary, Sound City: Reel to Real. 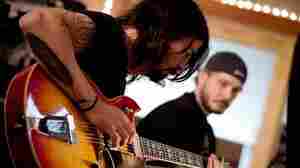 January 31, 2013  Much of rocker Dave Grohl's Sound City follows a familiar rock-doc formula. But his thoughtful love letter to a legendary Los Angeles studio succeeds, thanks to his jovial presence as the filmmaker-narrator-musician leading the way.